The map above shows the outcome of a federal plebiscite on the prohibition of alcohol that was held in Canada on September 29, 1898. 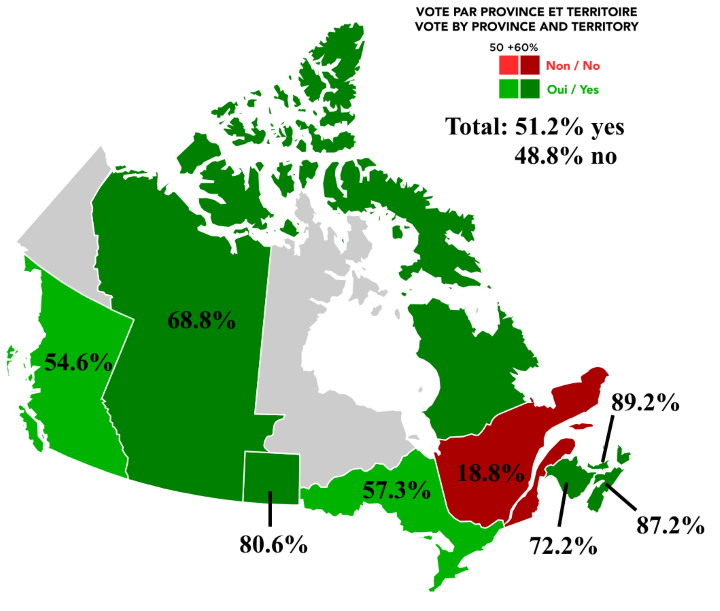 It was the first national referendum in the history of the country. It followed agitation over many decades by the temperance movement, which had succeeded introducing prohibition at the local (county) level in some areas, but wanted it extended nationally. 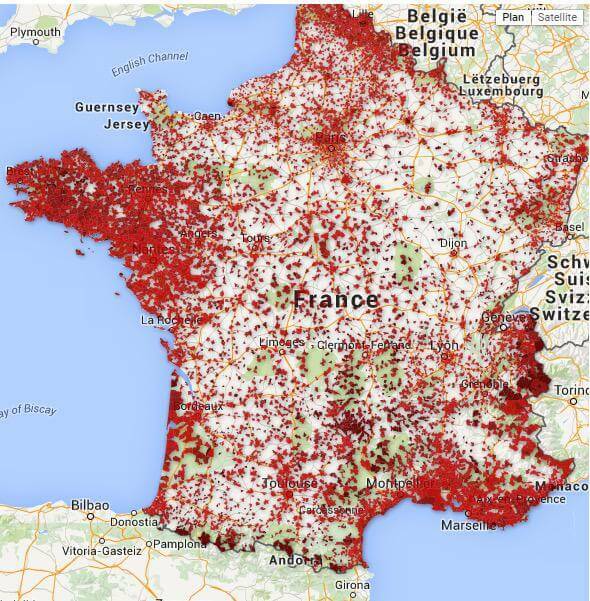 The map above shows the 3,209 bars which primarily serve alcohol in mainland France. This compares to 34,669 “mixed establishments”, such as restaurants, night clubs, etc. which also sell alcohol across France. Which European Country Has The Lowest Drinking Age? This is actually a bit of a trick question, as several European countries including: Armenia, Belgium, Bulgaria, Czech Republic, Denmark, France, Moldova, Netherlands, Norway, Poland, and Russia have no formal laws on what age people are allowed to consume alcoholic beverages. However, the map above (with a few errors) shows what age people have to be buy various types of alcohol.